Tuesday, Oct. 23, 2018, 12 – 2 p.m.
Shana A. Russell of the Humanities Action Lab presents "States of Incarceration: A National Dialogue of Local Histories." This collaborative exhibit explores the roots of mass incarceration in diverse local communities to open national dialogue on what should happen next The project has been created by more than 500 people in 17 states, including panels such as The Cost of Immigrant Detention (Arizona) and Carceral Colonialism: Imprisonment in Indian Country (Minnesota). 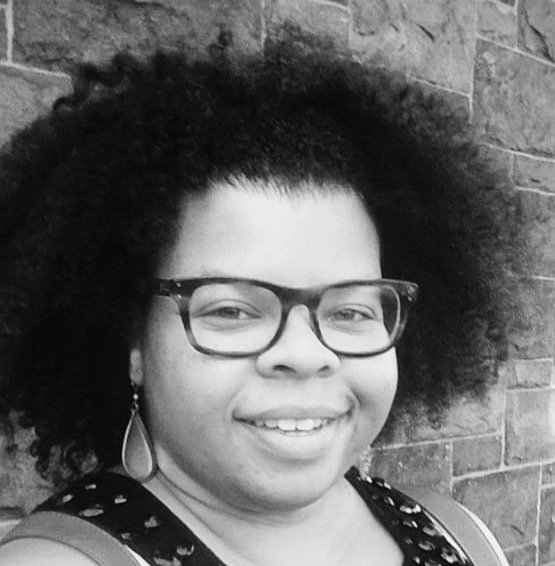 Shana A. Russell is a cultural historian whose research combines history and literature, past and present, to construct a narrative of resistance among women workers of color. She received her Ph.D. in American Studies from Rutgers University-Newark. Her work as a public humanities scholar and organizer centers on storytelling as advocacy. As the newly minted Program Manager for States of Incarceration, Shana facilitates a national collaboration between universities, community organizations, and public spaces that, together, think through the histories and current realities of mass incarceration in their communities by making important contributions to the ongoing national discourse using the humanities as a lens. Part of the Prison Education Collaboration, a public scholarship project of the Simpson Center.